The U.S. Supreme Court could necessitate the need for members-only unions if it decides to rule against mandatory dues in the public-sector, argued a report Wednesday. Labor unions claim that optional dues encourage workers to free-ride on the benefits they fight for. Workers might decide not to fund their union knowing that they will get the benefits anyway. But a decision against mandatory union dues wouldn’t be a complete victory for the workers that oppose them either. 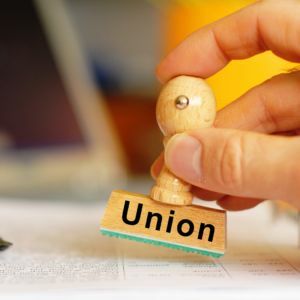 The Competitive Enterprise Institute (CEI), a free-market think tank, released a report highlighting how members-only unions can potentially solve problems for both sides in the case. Members-only unions aren’t obligated to represent nonmembers who don’t pay dues – though unions lose a huge benefit known as exclusive bargaining rights. Labor unions also have the ability to form members-only unions which aren’t obligated to represent nonmembers. The CEI report adds that very little change to state labor relations law is necessary. Union members would continue to work under a collective bargaining agreement and related state laws would remain unchanged. Labor unions, however, generally decide not to become members-only because exclusive representation blocks other labor groups from trying to organize an established bargaining unit. The tradeoff is the union has to represent every worker whether they pay dues or not once they organize a workplace as an exclusive representative. The U.S. Constitution bans compelled political speech. Lead plaintiff Mark Janus and two other Illinois state workers argue in the case that mandatory dues violate their constitutional rights because public-sector union bargaining is political in nature – since it deals with the allocation of government resources. Labor unions cannot require anyone to be a member, but in many states, they can require payments from every employee once they organize a workplace. Nonmembers must be given the option to pay a nonpolitical fee instead of full dues. The lawsuit, however, argues that public-sector collective bargaining and political lobbying are indistinguishable. CEI also filed an amicus brief Dec. 6 in support of outlawing mandatory union dues in the public-sector. The brief details several instances in which unions have used compelled dues to engage in political advocacy – in an alleged violation of constitutional law. The American Federation of State, County and Municipal Employees (AFSCME) is the primary union that the lawsuit targets – but the eventual aim is to end mandatory dues or fees for all public-sector workers by setting a legal precedent at the highest court. The U.S. Supreme Court decided to accept the case Sept. 27 following a split decision for an identical case last year. The National Right to Work Legal Defense Foundation (NRTW) has been assisting in the lawsuit alongside the Liberty Justice Center (LJC). Janus v. AFSCME could become one of the most influential labor-related lawsuits in the country’s history. It touches upon fundamental federal laws that have shaped how Americans have worked throughout modern history.